Jackie Guerrier, a member of the Haitian House of Representatives, was apprehended earlier this week with a machine gun while riding in a vehicle full of undocumented individuals inside of Dominican soil. Though carrying an unregistered machine gun while ferrying undocumented aliens is a serious crime in the Dominican Republic, Mr. Guerrier is today a free man thanks to President Danilo Medina, who has determined that the Congressman is protected by his diplomatic passport. 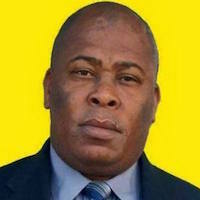 According to the Dominican news portal Acento, Haiti's Minister of Foreign Affairs, Pierrot Delienne, led an immediate démarche to the Dominican Foreign Ministry demanding the release of Mr. Guerrier from detention, arguing that his diplomatic passport meant he shouldn't have been arrested. 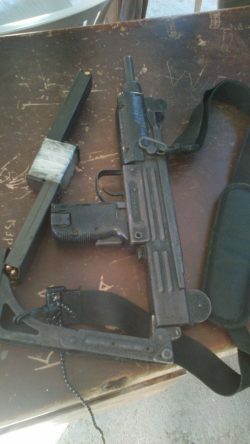 Dominico-Haitian relations, already at a historic low after members of Haiti's senate demanded the exit of Dominican troops sent to provide aid in the wake of Hurricane Mathew earlier this month, are likely to suffer from this incident even though Mr. Guerrier has been released without charges and his Uzi returned to him. The media in Port-au-Prince is already reporting on this incident as another affront by Dominican authorities against the dignity of Haitian diplomats, despite the presence of two Dominican nationals with Mr. Guerrier who were to enter Haiti with him sans passports with entry/exit stamps. The two Dominicans arrested with Mr. Guerrier have also been released without charges, as were the other members of his entourage. Though the Haitian media will accuse Dominican authorities of overreaching in arresting Mr. Guerrier, the far-right media in the Dominican Republic will not hesitate to blame President Medina of consistently bending over to requests by Haiti's Foreign Ministry. Though President Medina took the wisest approach in promptly releasing Mr. Guerrier, he will suffer great political damage should another incident like this one repeat itself.